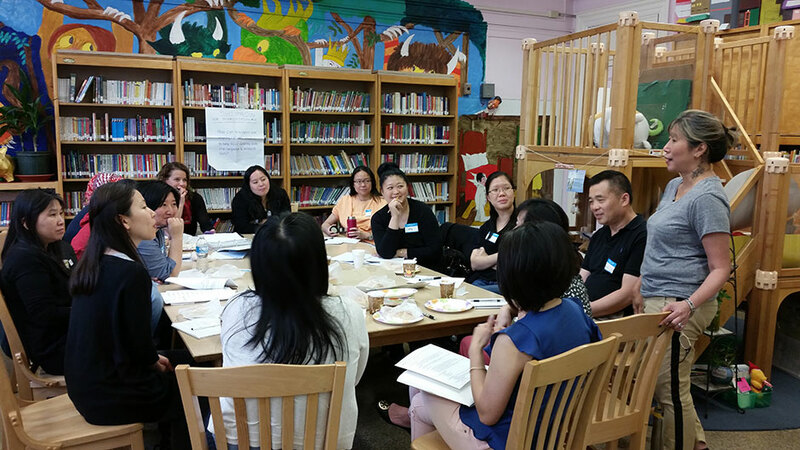 Thanks to the support of our funders, we’ve been able to impact English Language Learners (ELLs) in Chinatown’s elementary schools. For the past year, we’ve provided professional development to teachers of ELLs in the areas of oral language development and reading and writing skills, all through differentiation of instruction to meet the needs of all ELLs. Participants observed veteran teachers develop ELLs’ speaking skills through debate techniques, reading skills through deconstructing complex sentences, and writing skills through differentiated tasks, to name a few. Teachers discuss PS 42's unique Reggio Emilia Approach, which allows students to direct their own learning, and learn through sensory experiences and peer relationships. As we begin year two of the program, consider supporting more important initiatives like this.